I like just about any fruit. But up until about… Oh a month ago I thought I hated cherries. See, I’ve only ever had maraschino cherries and their yucky bug juice. (The red dye used in maraschino cherries comes from crushed female cochineal beetles.) So I’d written off cherries as one of the few fruits I will never eat. That was until I politely declined a fresh cherry that a friend offered me. She asked if I’d ever tried one and to my recollection, I had not. So I gave it a go. Low and behold, it was delicious. Who knew? That was until I politely declined a fresh cherry that a friend offered me. She asked if I’d ever tried one and to my recollection, I had not. So I gave it a go. Low and behold, it was delicious. Who knew? 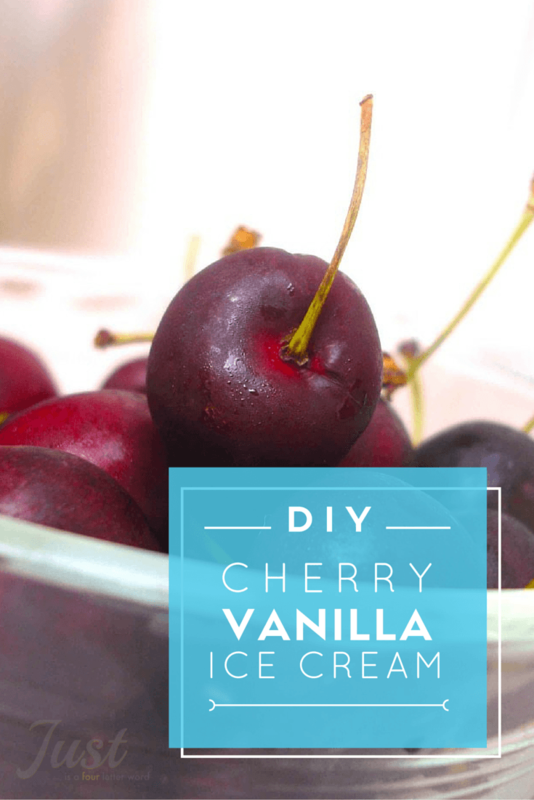 Here’s how you make delicious homemade Cherry Vanilla Ice Cream without the bug juice. In the medium sauce pan, pour 1 cup heavy cream then add the sugar and salt. Scrape the vanilla bean seeds into the pan and add the pod. Stir the mixture over medium heat, until the sugar dissolves. Remove from the heat and add the vanilla extra and the rest of the heavy cream. 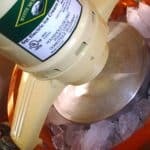 Remove the vanilla bean before churning, just rinse it and reserve for another use. Follow the manufacturers directions for your ice cream maker. Serve immediately or freeze and eat later! 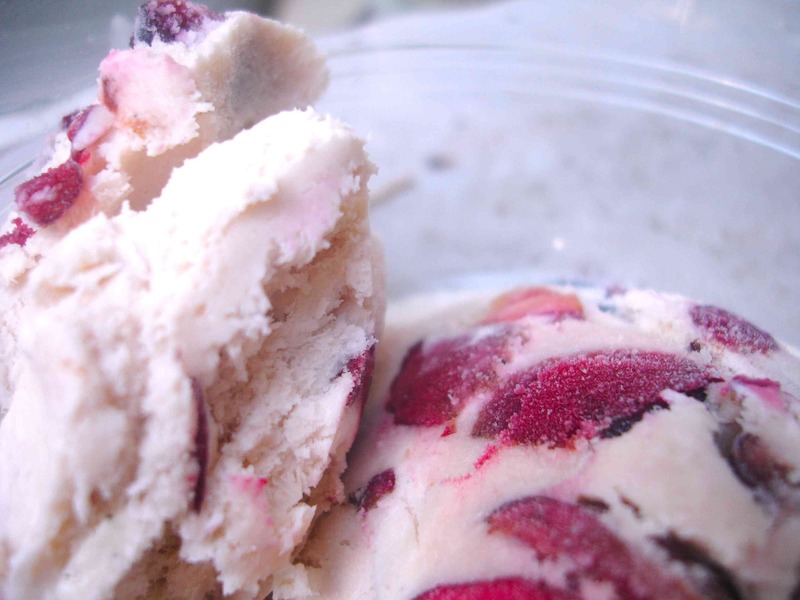 This recipe makes a thick and creamy gelato-like ice cream. You could easily add chocolate chips or anything else really. It’s one of the easier ice cream recipes I’ve made and totally worth the time. Do you like homemade ice cream? What’s your favorite flavor? For more yummy ideas, check out these tasty treats! Wow… sounds so yummy! I will have to give ice cream-making another try… just for this one! Sounds delish! What about trying with soy instead of cow's milk? Just trying to limit dairy intake for me and my family. Just wanted to say that most maraschino cherries are not colored with carmine, the dye derived from insets. They are dyed with Red 40, which is a made from petroleum. I’m not saying Red 40 is good for you (studies have been done to prove that it is not), but it is not made from bugs. 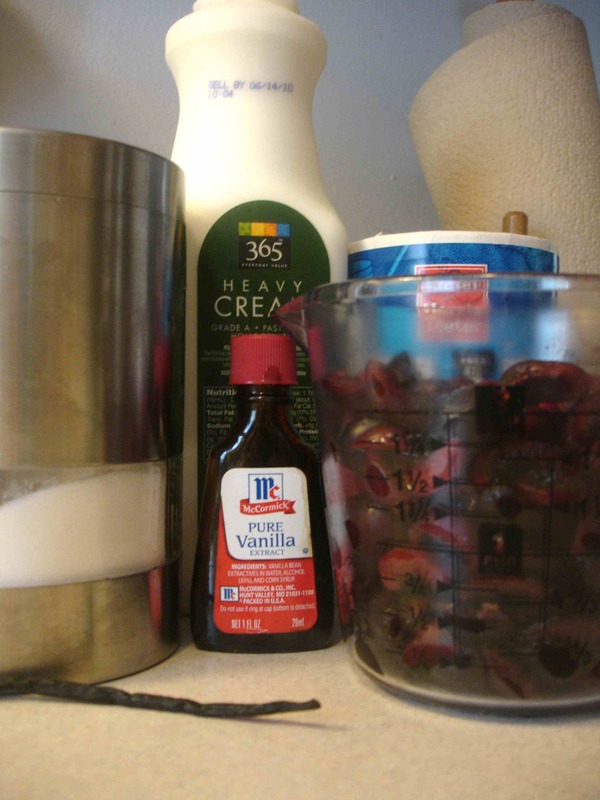 Maraschino cherries are really tasty, and many health food stores have them with different food colorings instead, but some of those may use carmine instead of red 40 since it is considered a natural food coloring.